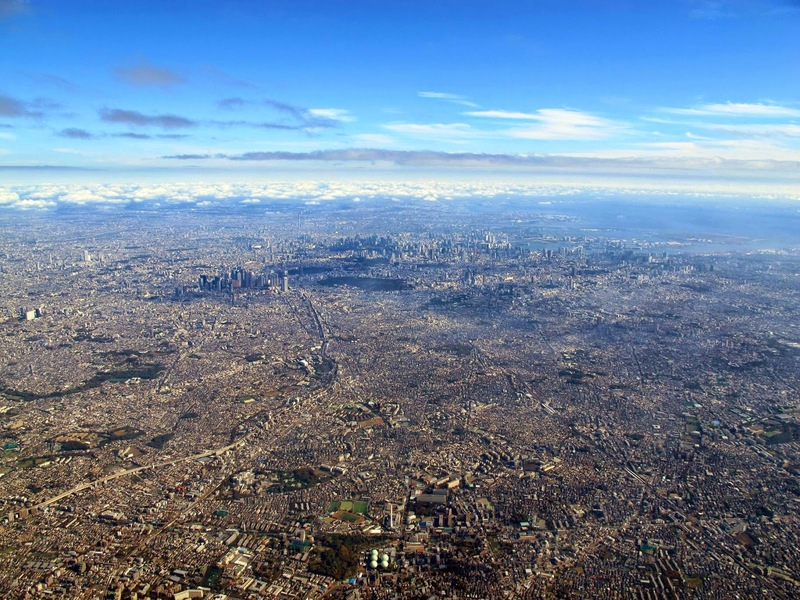 under the raedar: How many people live in Tokyo? Back in August 2014 when I was preparing some material for teaching students how to query data in a GIS, I devised a very simple example where they had to select all the countries in the world with a lower population than the Tokyo Metropolitan Area (or Greater Tokyo Area, as it's sometimes called). I did this just as an example but since I found the results quite interesting, I quickly turned it into a map and posted it on Twitter, complete with 'Toyko' typo in the subheading. It was really just a quick example of how to query data in a GIS but it also highlighted the massive population of the Tokyo metropolitan area. You can find the full size, original image here. I was prompted to write this blog because the map was reposted on the Canadian Twitter feed @AsapSCIENCE a few days ago and since then my inbox has been a bit busy. Now, back to the original question of how many people live in 'Tokyo'. Well, when I say 'Tokyo' in the map, I'm referring to the wider metropolitan area, which in 2014 the United Nations World Urbanization Prospects said has a total population of 37,833,000, far beyond the next largest urban agglomeration, Delhi, at 24,953,000. By way of comparison, using the urban agglomeration population (rather than a city's administrative boundaries), Toronto had 5.9 million, London had 10.2 million and Beijing had 19.5 million. Clearly, these definitions include other urban places that are not Tokyo (e.g. Yokohama) but they are recognized as being part of a fairly coherent metropolitan area. If we take the metropolitan definition used by the United Nations, then Tokyo does indeed have more people than Canada, at 35.5 million (2014 Statistics Canada estimate) and far more than Australia at 23.7 million (see their population clock). 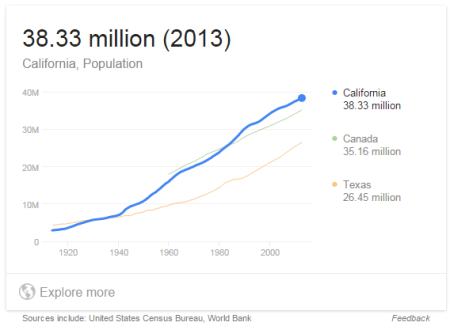 The Tokyo metropolitan population is roughly the same as the whole of California, which currently stands at about 38 million. It was tweeted by Guardian Cities and then retweeted 309 times and favourited 107 times. It was tweeted by AsapSCIENCE on 22 January 2015 and since then retweeted 96 times and favourited 110 times. Akihabara News wrote an entire article about the map, and even spelled my name correctly - that hardly ever happens. Tokyo Desu also did a piece on it - and added another map too. What does it all look like on the ground? This photo (below) from ATBREAK gives you some idea.